Sending emails in web applications has become so essential. Marketing, notifications, newsletters, adverts, etc are some of the reasons why we send emails to our clients. I&apos;d say the majority of websites send automated emails at least via a "Contact us" form. 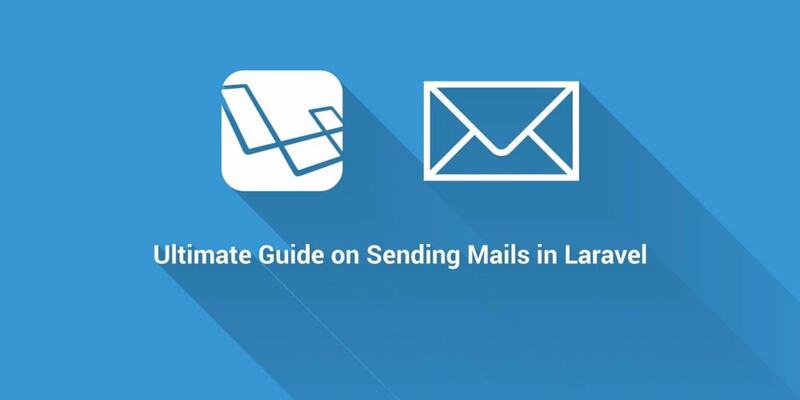 Let&apos;s explore the many possible ways to send emails in a Laravel application. Although your first thought when you see "Email Service Provider" may be service providers in Laravel, that is not what I am referring to here. I am referring to online services that provide email sending functionalities via APIs. We are going to review several possible providers and how to set them up in a Laravel application. Speaking of which, install a new Laravel application and leave config/services.php open in your favorite editor. Sign up for an account if you have not. Verify your email and phone number. You will be redirected to your Dashboard. Mailtrap is awesome for development and testing. It was not built with sending emails in production in mind. There are several more options, including Amazon SES, but we will just focus on a few. They are all very similar to setup so let us just stick with learning with what we have. Our config/services.php has all the configuration for major external services that are required for our application. It is also recommended that if Laravel does not provide any service, you should stick to the design pattern of using the services config file to configure your application. Notice that Mailtrap is missing here. It uses SMTP and is provided as default in every Laravel installation because it is made for testing purposes. You can go ahead to replace the usernames, passwords, keys, domains and secrets you got while registering for the email services. Setting up the services and configuring them does not actually send the emails, but it is an amazing step we have taken together. We can do better. Let us send an email. We will use RESTful approach to send the emails because it is the standard. So get your Postman ready to do some jobs. Note: Action methods are methods in a controller that handle a request. That is a basic method waiting and ready to be fleshed out. We have also type-hinted Request if we need anything to do with the request object. The Mail Facade which is used to handle emails in Laravel provides several methods including send(). The send() method takes 3 parameters: a blade view, data to be bound to the view, and a closure. You can configure the mail how ever you want in the closure. Attaching files is very simple. We just use the attach() method and supply a file path. We requested a file uploaded via a form and attached it to the mail. Notice that we also added a subject to the email. As this article is one about sending emails, it would be nice to consider sending bulk emails. The popular tool that handles this is Mailchimp so lets try that out. Setting up Mailchimp invovles two steps - account creation and Laravel project setup. To create a MailChimp account, head straight to the Sign up page, sign up, and verify your account if required. Next create a list of your subscribers. In a real project, you would be adding users to the list programatically using the API, but we can just go ahead and create some via the dashboard as seen below. Now grab the List Id by going to Settings > List name and defaults. Also create and get your API key from User > Accounts > Extras > API Keys. "User" stands for your username, which is on the navigation bar. We are using two campaign methods: create() and send(). The create() method provisions a campaign and returns an array which contains the id of our campaign. We then pass this id to the send() method to dispatch the emails. That&apos;s all! If your web application sends emails, it is recommended you take the extra mile and use useful services to optimize the whole process. Test your emails with Mailtrap, send with Mandrill/Mailgun/SES or anything that suites you, and optimize with Queues.